This entry was posted in Chickens, Photography, Uncategorized and tagged chickens, farm life, iphoneography, midsummer night, night sky. Bookmark the permalink. 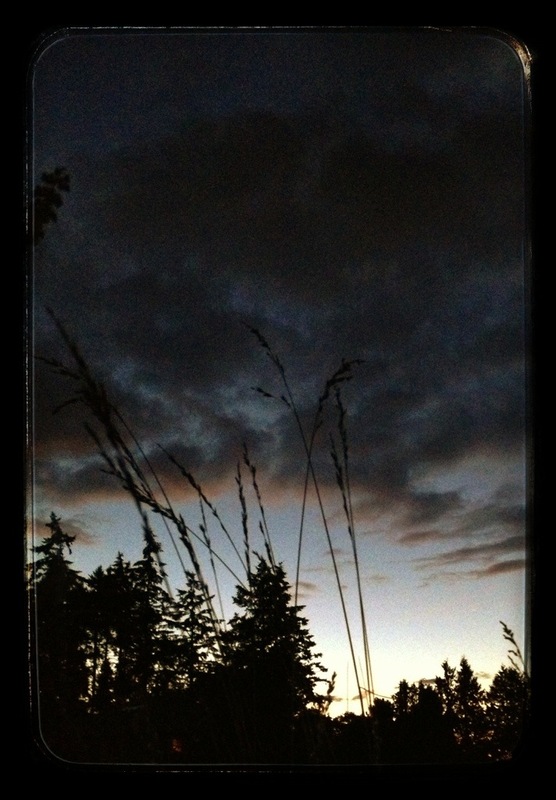 I hear you…I find myself waiting impatiently for it to be dusk enough to shut the birds in, so I can go to bed. Of course, they are ready to get going in the morning a lot earlier than me…so I guess it’s a trade off. Beautiful picture of dusk by the way. We saw that when in Scotland years ago. It hardly got dark. Wonderful photo, so moody. Our Ameraucanas like to tuck themselves up quite early; they are usually all in and roosting by 6.30 or 7pm at the latest. Sounds like that’s unusual? My bantams are like that – in bed early every night. The last to go to bed are the little brown layers – they are out until the very last minute every night. The ducks never put themselves to bed – I have to herd them in each evening. Fortunately, they are herdable – unlike the chickens.